In a collaborative project between the University of East Anglia, the University of Cambridge and the University of Lincoln the world’s first Centre for Doctoral Training (CDT) for agri-food robotics is being established. After receiving a £6.6m grant from the Engineering and Physical Sciences Research Council (EPSRC) the centre is being developed at the University of Lincoln with the aim to provide funding for at least 50 doctoral students, supported by industry partners, to specialise in autonomy in the agri-food world. These students will be working on real-world problems in order to create a more sustainable and efficient agri-food sector. Specialisations will include autonomous mobility, harvesting crops, handling delicate food products and co-bots (maintaining human-robot collaborations). The course layout is brand new when it comes to doctoral training programmes. All students will follow the common foundation year at the University of Lincoln, gaining an MSc in Robotics and Autonomous Systems. They will then split into groups where they will continue their studies at one of the three partner universities working with major industrial partners such as John Deere, Beeswax Dyson and the Horticultural Development Board. Their years in the second part of their training will focus on real-world challenges and application of robotics in the agri-food industry. 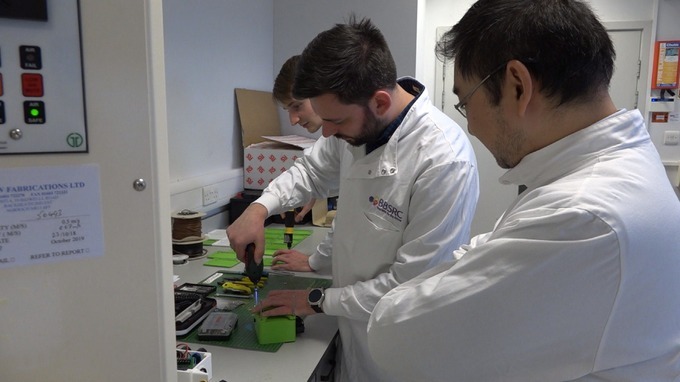 This is one of 75 new programmes to be funded by the EPSRC designed with the idea in mind that the new generation of doctoral researchers should be equipped with a breadth of engineering and physical skills. With New Anglia containing some of the best farming lands in the UK, it is invaluable to our bio-economy that graduates and doctoral students are gaining real-world skills to apply in the field to provide for our future. The fourth Industrial Revolution shouldn’t just be kept to the engineering sector and this is a prime example of where automation and robotics can impact the biotech sector here in Norfolk and Suffolk.